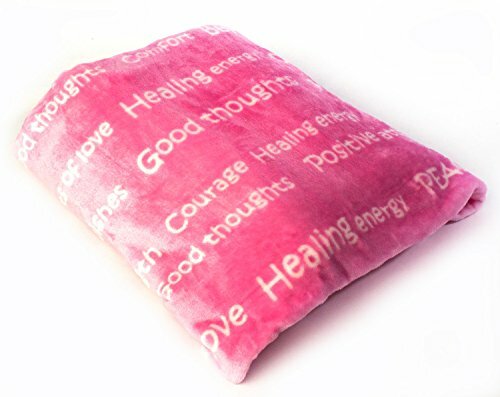 BlankieGram Healing Thoughts Throw Blanket – The Perfect Caring Gift! 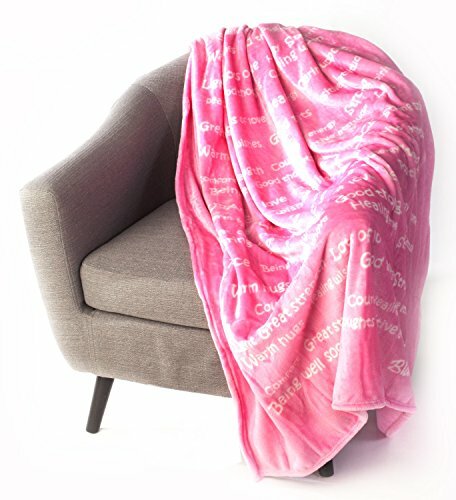 For those facing life’s difficult challenges, this super soft and cozy throw blanket is indeed the perfect gift. What a wonderful way to show someone you love that you are always thinking about them and sending them healing words of inspiration, best wishes and caring support. 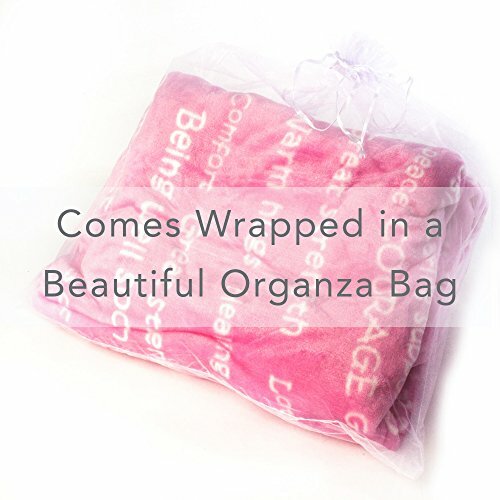 You are truly wrapping them up in your warmth and love.THE PERFECT CARING GIFT! 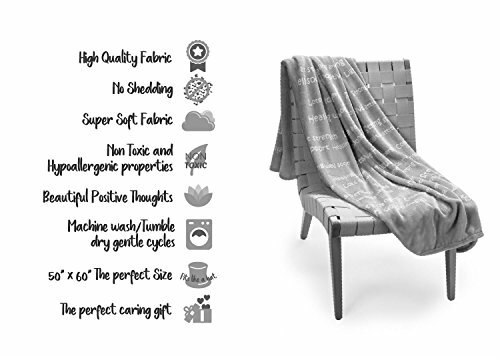 For those facing life’s difficult challenges, this super soft and cozy throw blanket is indeed the perfect gift. What a wonderful way to show someone you love that you are always thinking about them and sending them healing words of inspiration, best wishes and caring support. You are truly wrapping them up in your warmth and love. 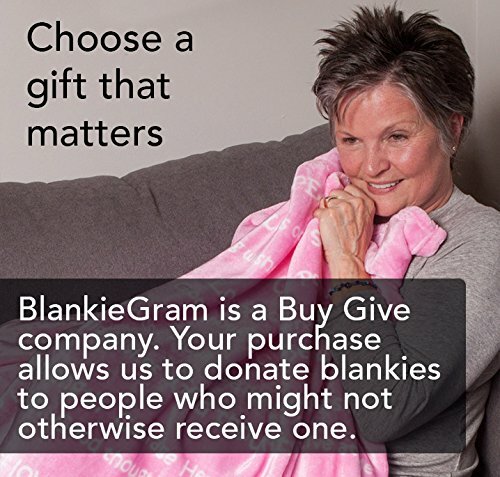 BLANKIEGRAM CARES ABOUT GIVING BACK: Your purchase helps us support folks facing life’s challenges. By donating Blankies to people who might otherwise not receive a gift of loving encouragement, together we can make a difference in people’s lives. It is our desire to share our message of caring support and thereby help make the world a place of greater warmth and love. Our ambitious goal is to “Cover the World in Hugs” and touch the hearts of those in need. A SOFT EMBRACE WITH INSPIRING WORDS! 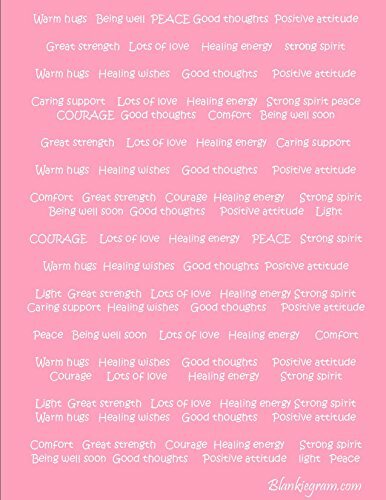 Instead of sending conventional flowers that will fade away or a greeting card that will soon be set aside, send your healing support to family or friends with a cozy, soft, snuggly blanket decorated with inspiring messages. 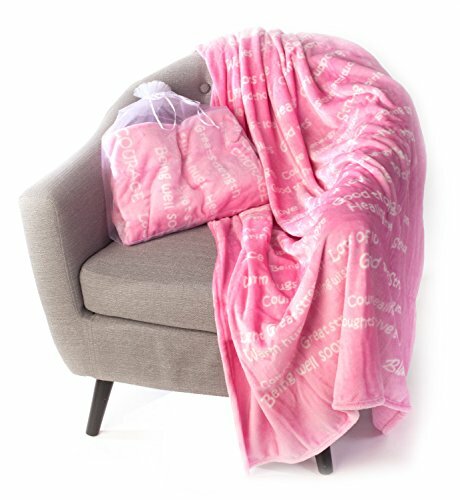 Each Blankiegram throw blanket is an enduring reflection of your care and love. COLORS THAT MAKE A DIFFERENCE! BlankieGram has given careful thought into the selection of each color. Every color has been chosen for its special qualities – qualities that help to soothe the soul and recharge and energize the spirit. Pink is a color that shows appreciation, respect and admiration. Pink also enhances self-esteem as well as artistic and creative energies. Spiritually, Pink is the color of the heart and represents unconditional love, tenderness, caring and compassion. CUSTOM LUXURIOUS FABRIC / NO SHEDDING OR SHRINKING! 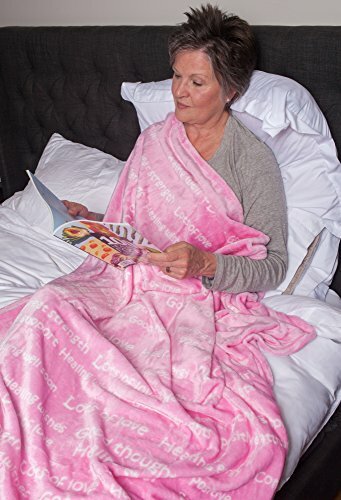 BlankieGram stands out from the crowd because we use only the finest custom high-end quality materials from which to craft our super soft and ultra-comfortable throw blankets. Your BlankieGram will be there with your warm and inviting message for years to come!